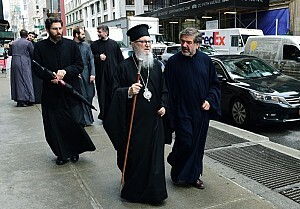 New York, NY - His Eminence Archbishop Demetrios of America visited St. Sava Cathedral on Tuesday, May 3, 2016 to pray with and give support to the Serbian community in New York. 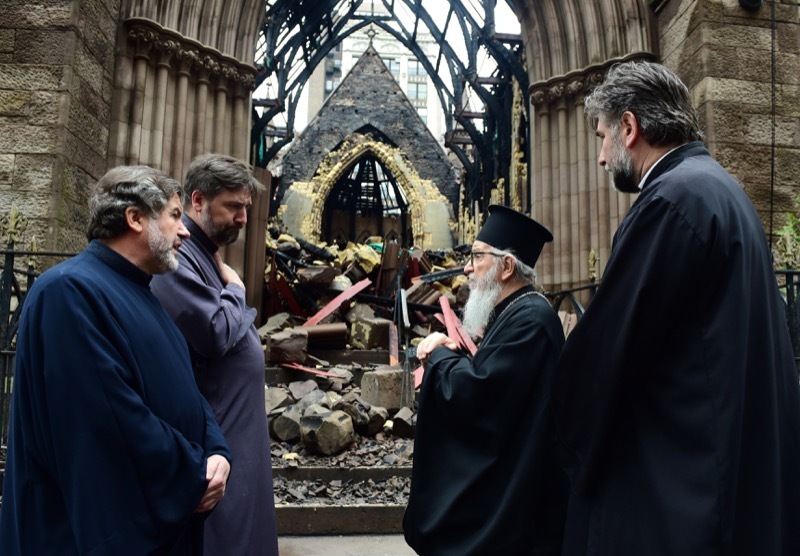 He was visibly moved by the devastating scene left behind after the May 1st fire that destroyed the entire church building, and ajoining rooms. He prayed with those present by singing the paschal hymn 'Hristos Voskrese' and the troparion to St. Sava. The Serbian community of New York, the deanery, and throughout the Eastern Diocese thank His Eminence for his love and support!